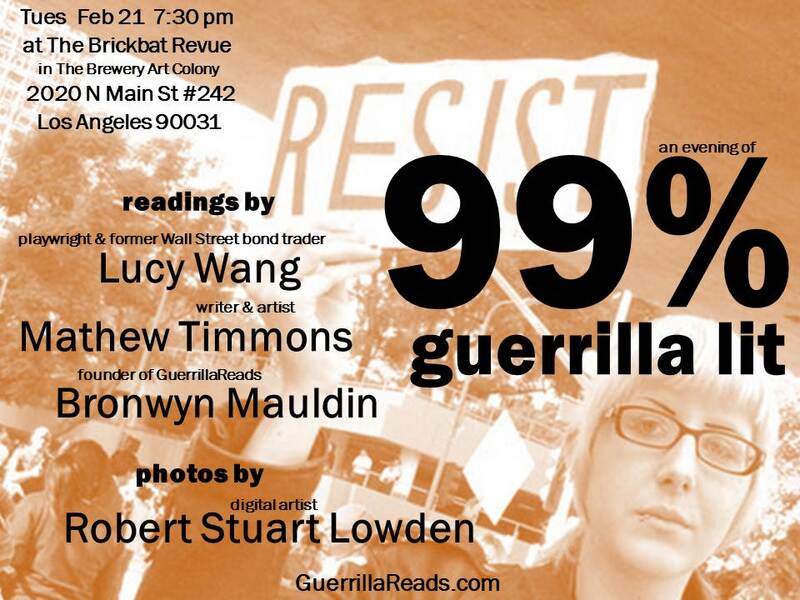 GuerrillaReads hosts an evening of 99% Guerrilla Lit. Live readings from Lucy Wang, Mathew Timmons and Bronwyn Mauldin (that's me!). Photos by Robert Stuart Lowden. GuerrillaReads videos by Cecil Castellucci and more, from Occupy LA. Download the flyer and share it widely!